The Tesla Model S is already an amazing electric car, but it became extremely more valuable with today’s unveiling of the Supercharger network which will allow coast-to-coast trips with an electric car, powered for free from sunlight. 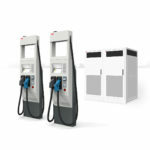 Calling it a historic moment, Elon Musk, Chairman and CEO of Tesla Motors, unveiled plans for the Supercharger network. 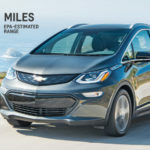 As expected it is a network of charging stations that will be installed across the U.S. integrated with solar panels, but what wasn’t expected is the cost. Free. As Musk said during the presentation, if you pack your food and stay with friends, you will be able to drive from LA to New York and leave your wallet at home because you won’t spend any money. 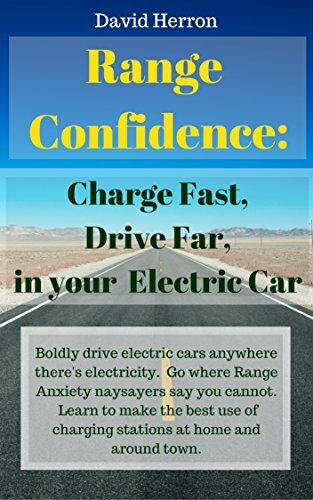 To take a long distance road trip, in an electric car, paying nothing for fuel, and your fuel is sunlight, is going to completely change the conceptualization of electric vehicles. Has Tesla Motors completely upstaged the whole of the automobile industry? One marvels at the audacity of this plan, and wonders how the company can possibly pull this off. But first, let’s go over what was revealed. This system is largely what I predicted earlier , based on hints Musk gave during a shareholders meeting in June. According to Tesla, the Model S’s equipped with the Supercharger will charge at a rate of 150 miles of driving range per half hour of charging, allowing a full recharge within an hour. This means the Model S is the first all electric car that can be used for a proper American road trip. This is not a plan that will be implemented some time in a mystical future when all the planets align correctly. Tesla has already begun installing the network, in secret. There are six locations currently, Barstow, Folsom, Gilroy, Harris Ranch, Los Angeles, and Tejon Ranch, most or all of which are locations of the existing “Tesla Chargers”. 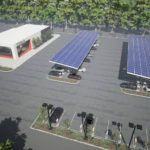 This is the second time Tesla and Solar City have set up a charging station network, a few years ago the two companies teamed up to build a charging network for Tesla Roadsters in California. By the end of 2012 the company will expand the network within California, with an extension along the I5 corridor all the way to the Oregon border. 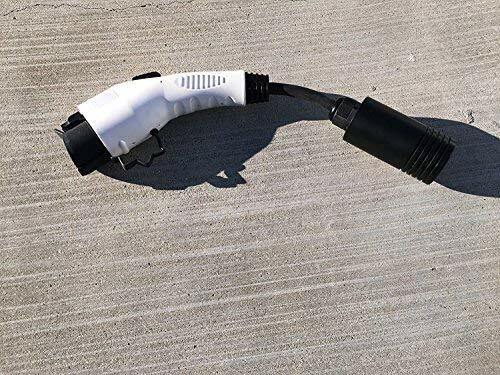 The West Coast Electric Highway, that has installed CHADEMO chargers throughout Oregon and Washington State, has yet to install any of these chargers in California despite a couple years of promises. 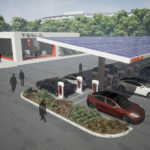 Within five years Tesla Motors plans to install Supercharger stations all across the U.S. and parts of Canada, and will be looking to expand into Europe and Asia as well. The curious part of this is the plan to make this service free for any Tesla owner to use. Most of the charging station networks are looking at steep usage fees as the business model, but Tesla is giving the service away. How can this work? First, It makes the Tesla electric vehicles much more attractive than they are today. Driving with zero fuel cost is an amazing economic offer to make, and to additionally dangle the carrot of driving for free, forever, on sunlight, is going to tickle the fancy of many people. One imagines there will be an immediate uptick in new Model S and Model X reservations. In other words, the Supercharger network will make the Model S that much more compelling and could help the company sell a lot of cars. But what about the costs, won’t Tesla lose a lot of money on this? Almost certainly naysayers are going to launch into that line of argument, the same ones who are already claiming Tesla is teetering on the edge of failure. There are at least three ways that Tesla could make money with the Supercharger network, while giving away free charging services. Tesla’s ability to earn revenue from the Supercharger network is mostly speculation, so let’s ask a few questions. What will be the business deal with the host sites for the supercharger network? Those “highway restaurants” will likely see extra business from people hanging around waiting for their Tesla electric cars to finish recharging. 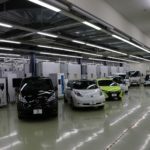 Will Tesla be able to negotiate a lower installation cost? Will Tesla be able to get a cut of income from the restaurants? Musk said the solar carparts will be sized to provide more power than is taken by recharging cars. Will they be big enough to earn a significant enough revenue from selling power to the grid? What about on-site battery based energy storage systems? This would be required to avoid demand charges, but couldn’t Tesla also earn additional revenue from smart grid services? (load balancing and grid voltage stabalization) What about carbon credits that will be earned from the stations? Is this announcement actually historic, or will the reality distortion field wear off tomorrow? The answer depends on how well this works out in practice. Today’s electric cars will go for about 70-90 miles at highway speed, then require several hours to recharge. The Tesla Supercharger network will allow a Model S owner to have a completely different driving experience, 260 miles or more of driving, then one hour to recharge. Tesla has always focused on smashing the negative stereotypes of electric cars, and between the capabilities of the Model S, and the capabilities of the Supercharger network, the company is at it again. Back in June we asked “Could Tesla Motors revolutionize the auto industry, again?” The company did it once with the Tesla Roadster, single handedly upstaging the car industry which had previously failed to deliver a credible electric car. 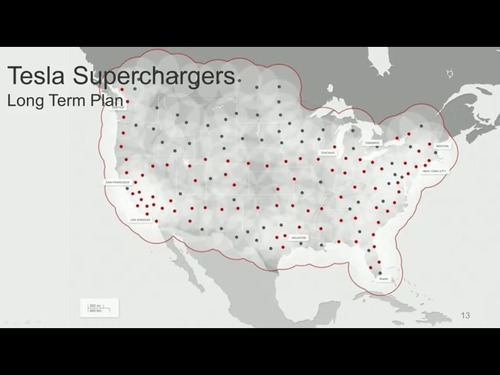 With the Supercharger network, Tesla is poised to make all the other electric cars look feeble. Revolutionary? Historic? Heck, yeah! 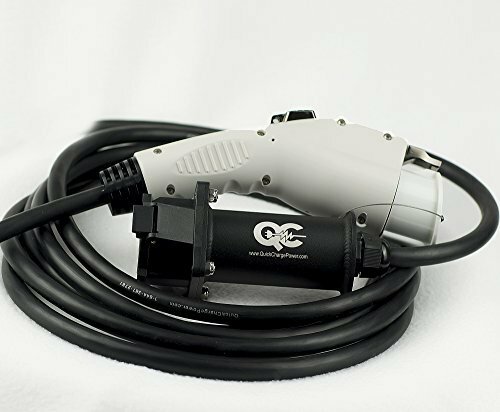 Fast Charging, Supercharger, Tesla Model S, Tesla Motors. Bookmark.